(Sir Sly) are going to be massive. 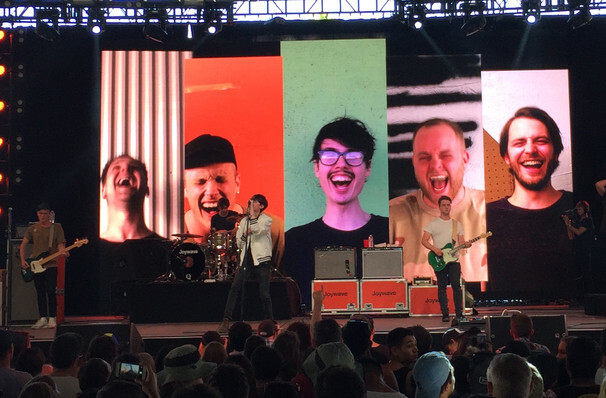 Why See Joywave and Sir Sly? Melding indie guitar-based songwriting with electronic beats, Joywave first tasted success with their genre-bending blend in 2015 when 'Dangerous', the lead single of their debut album 'How Do You Feel Now', hit the No. 1 spot on the Alternative Songs chart. Moving with the momentum, their critically acclaimed follow up album 'Content' continues to make waves, spurring a Summer 2018 tour with fellow Alt rock icons 30 Seconds To Mars. Catch the up and coming outfit with fellow alt-indie band Sir Sly for their fall co-headline tour. Formed in LA in 2012, Sir Sly came to international attention in true millennial style when their song 'Gold' was used in a trailer for the video game Assassin's Creed: Black Flag. 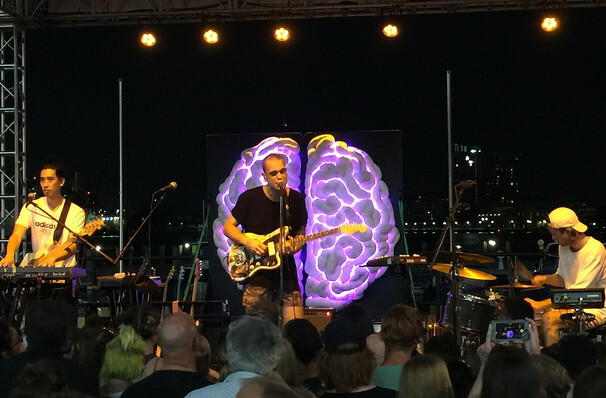 The trio fuse atmospheric soundscapes with synth-heavy, hook-laden pop rock, emotional lyrics and driving rhythms that make for dance-centric, high energy live shows. With an emphasis firmly on melody-driven tunes, the band is sure to have you singing along to their instantly catchy heartbreak anthems when they take to the stage alongside Joywave. Sound good to you? 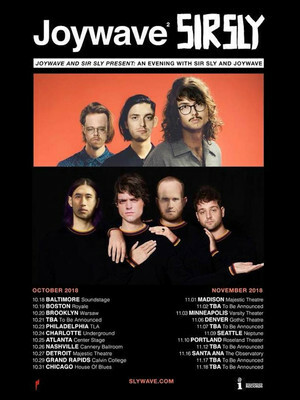 Share this page on social media and let your friends know about Joywave and Sir Sly at Galaxy Theater. Please note: The term Galaxy Theater and/or Joywave and Sir Sly as well as all associated graphics, logos, and/or other trademarks, tradenames or copyrights are the property of the Galaxy Theater and/or Joywave and Sir Sly and are used herein for factual descriptive purposes only. We are in no way associated with or authorized by the Galaxy Theater and/or Joywave and Sir Sly and neither that entity nor any of its affiliates have licensed or endorsed us to sell tickets, goods and or services in conjunction with their events.